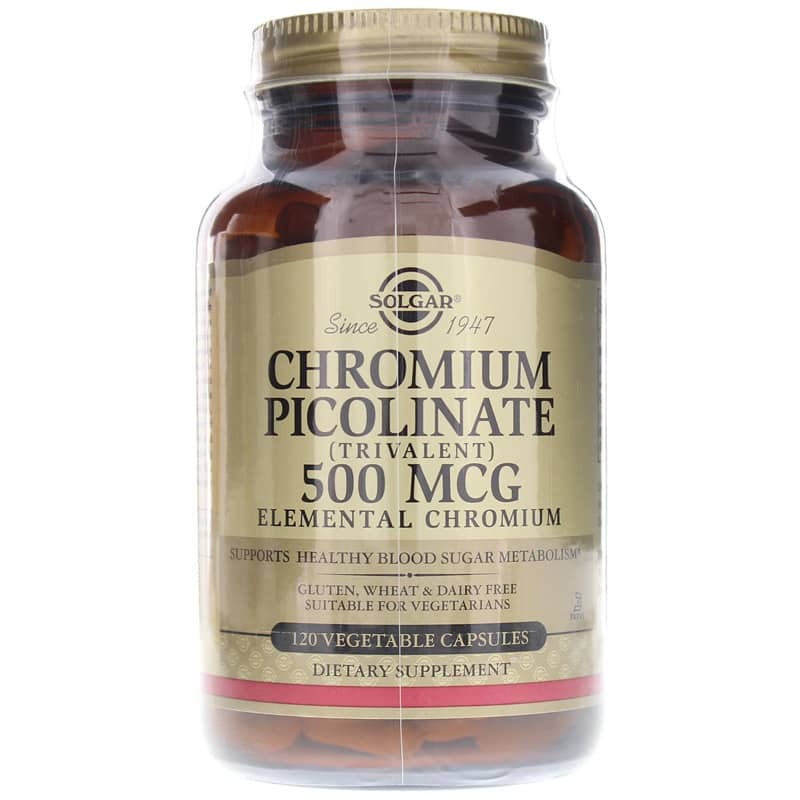 Chromium Picolinate (Trivalent) 500mcg from Solgar is a vegetarian mineral supplement that provides support for healthy blood glucose metabolism. 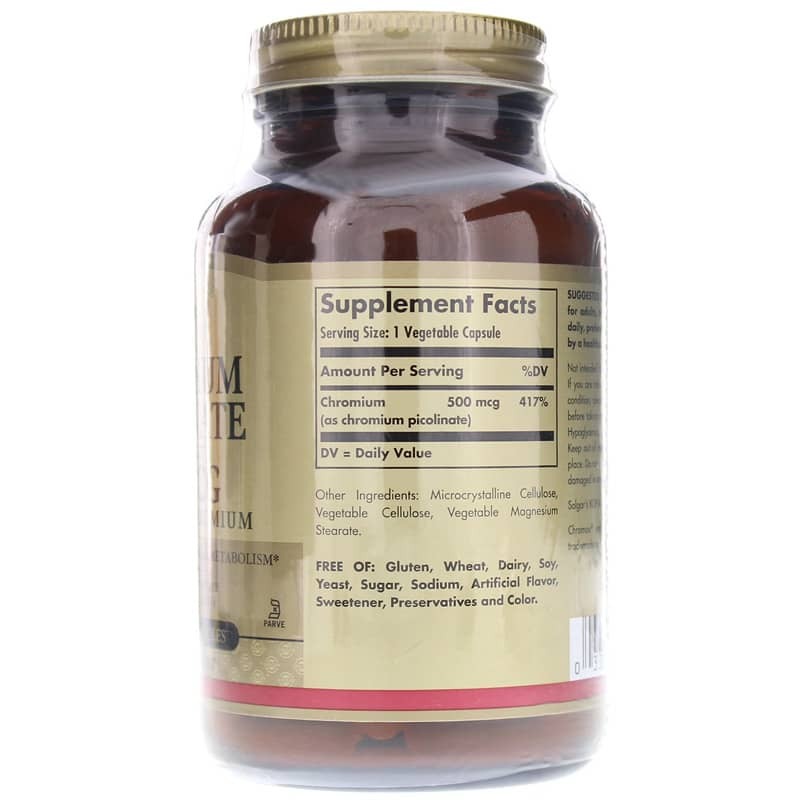 This formulation contains trivalent, biologically active chromium. 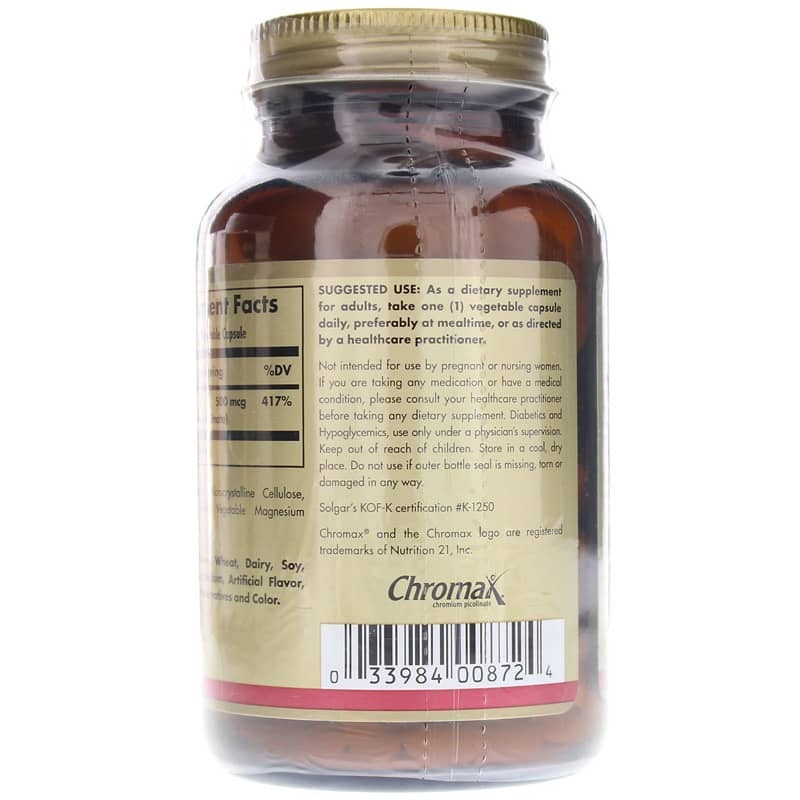 Chromium is an essential trace mineral that plays an important role in helping insulin regulate blood glucose. Along with a nutritious diet, chromium may help maintain healthy blood glucose levels already within a normal range. In addition, chromium is a component of a number of enzymes that release energy from cells and is required for proper receptor functioning necessary for nutrient metabolism. Not intended for use by pregnant or nursing women. If you are taking any medication or have a medical condition, please consult your healthcare practitioner before taking any dietary supplement. Diabetics and Hypoglycemics, use only under a physicians supervision. Keep out of reach of children. Store in a cool, dry place. Do not use if outer bottle seal is missing, torn or damaged in any way. I'll be buying this again because it works and you get FREE shipping! No one can beat that!